As some of you know, Mr C and I are very keen bakers. The Mr is awesome at making bread, and I have been told that my bakes are truly scrumptious, so we've decided to see how far we can take doing the things we love, and we're applying for a stall at some farmers markets just to see if the above sentence is true. Let me introduce you to the- Naked Cake Company. 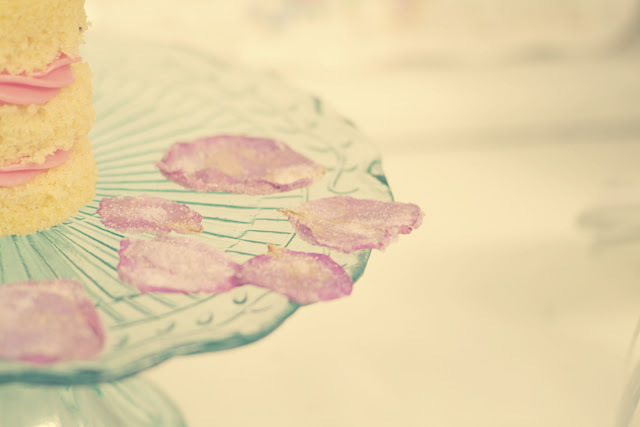 I've been considering this idea for a while, as we have hosted pop-up teas in the garden of The Haven before, and I would like to do something a bit more! As most of you know, I deal in vintage wares and design fabric, but my full time job is hairdressing, and my vintage salon is in the garden. Unfortunately, due to the nature of the job I have started to suffer with my back, and have to seriously consider giving it up. I've been thinking of things that I can do to replace my long standing career, and I think I've found it! 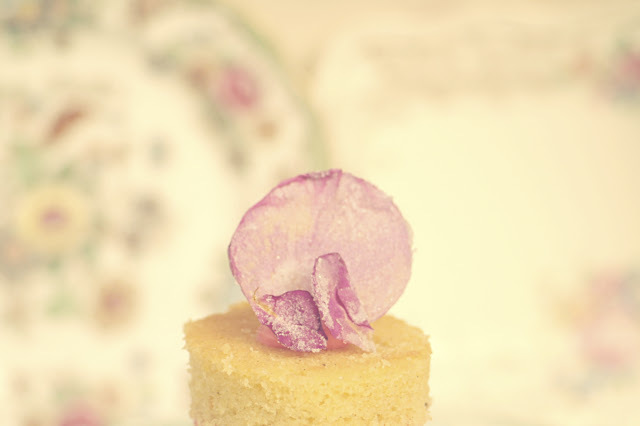 My cakes are made using eggs from my hens and edible flowers from my garden, plus I use and make my own flower syrups. My flavours are different from the norm! 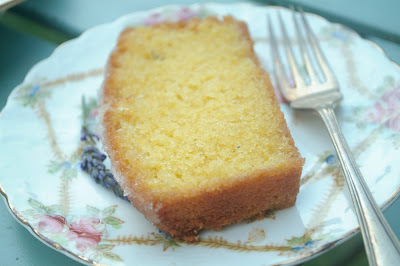 Try my Rose and Earl Grey sponge or my Lavender and Orange Polenta cake. I'm priding my cakes on having locally sourced ingredients, the flower comes from a mill down the road, and my garden fruits and flowers are used. I'm also working on my cocktail cakes. Flavours will include Mojito, Strawberry daiquiri, and G&T. My cakes will come completely un-decorated (hence the name), but I can supply seasonal flowers (un-edible) to adorn it with should you wish. We really hope we get accepted onto the farmers market waiting list! We hope to also sell Mr C's bread, sugar syrups and other interesting bakes. Trade orders will be most welcome. *Please note the kitchen at The Haven has been awarded 4 stars by the food agency. If you wish to make cakes at your home you must inform your local council. You will also need to do a course in basic food hygiene. If you are considering trading at a farmers market you will also need market traders insurance.